Senior Advisor to the Prime Minister Rehman Malik on Friday submitted his nomination papers at the provincial election commission in Karachi, for the technocrat seat in the Senate. Earlier he had resigned from the Senate on July 10. Pakistan People’s Party has nominated him again to fill the vacant seat in the upper house. Polling on the vacant seat will be held on 8th of the next month. The Election Commission of Pakistan (ECP) had called on members of the provincial assembly of Sindh to nominate a new candidate for the Senate from the province after the seat was vacated by Malik, following his resignation. Showing the renunciation certificate from United Kingdom’s border agency, Malik gave his assurance that he is only a Pakistani citizen now and does not hold any other nationality. Seconding his statement, he showed his Pakistani national identity card to the media saying, “The basic reason for my resignation was, that for many days Pakistan Muslim League-Nawaz Chief Nawaz Sharif, had been saying that the dual nationality bill was passed because of me and that their party will not support the dual nationality law. So, I told him that Pakistanis living abroad, who send in billions of dollars to Pakistan, should not be victimized and I decided to pull myself out of this issue.” He said that he would not comment on the documents he had submitted as they were under scrutiny. The minister said that the documents could be obtained by anyone wishing to see them. The documents will be scrutinized on July 23 and 24, while candidates can withdraw their nomination papers by July 30, 2012. Rehman said that he has always respected court orders. He is a Pakistani citizen and has submitted papers proving his relinquishing of British citizenship. He said that anyone doubting his nationality can challenge it in the court. Once a crook always a crook. I bet he wants his seat back. Why wouldn't he? PPP truly is the party of the poor. Look at zardari-he goes from selling movie tickets to becoming President. Pervaiz Ashraf goes from being a foreman at BATA to becoming the PM. 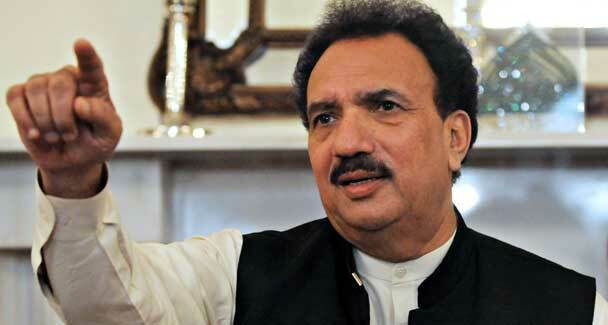 Rehman Malik goes from being a barber to a senator and a minister. Best of all, BB goes from being a lucky s*p*e*r*m to becoming the prime minister 🙂 Only in Pakistan. One has to start from some where. And Imran Khan from catching a a ball to a PM. I know you will start screaming too loudly very soon… and am gonna enjoy it…..
Imran is from khata peeta background and not a poor ticket seller like Zardari…that is why he is anti Status quo ! After partition, his father made some property through false claims of property he left in India. He was a Civil Engineer. Corruption charges were proved against him and he was dismissed. Anybody can check the record & verify. So, corrupt blood runs in Tsunami Khan's veins.